for adrenaline seekers this winter! Are you an adrenaline seeker? You’ve come to the right place. Our parks are built for various levels of experience and designed to make things easy for you. In each park, modules are labelled according to size: Small, Medium, Large and XLarge. The 40　available modules have something for everyone throughout the winter. The controlled-access park will satisfy the most demanding enthusiasts with its diverse challenges and a unique shot of adrenaline. Le Relais also offers three renovated parks with a greater variety of modules and a safe environment. 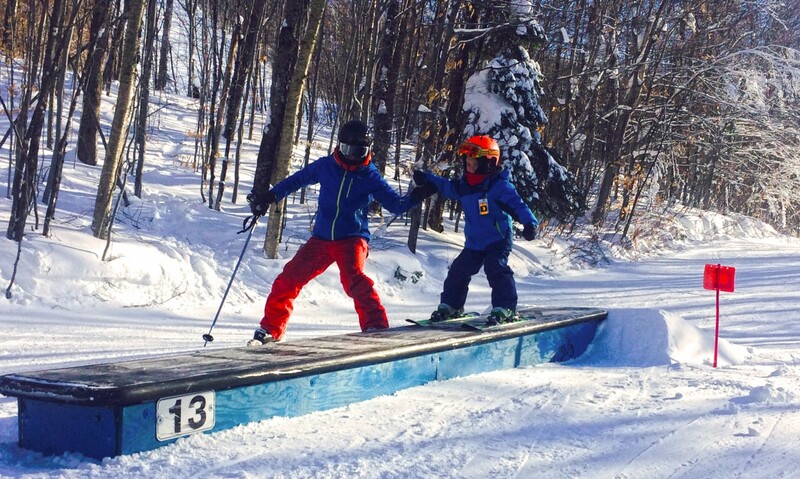 Le Hameau, which was moved to run #15b, is the perfect park to start learning and build your skills. It encourages progress in a completely safe environment with specially designed Small-size learning modules. 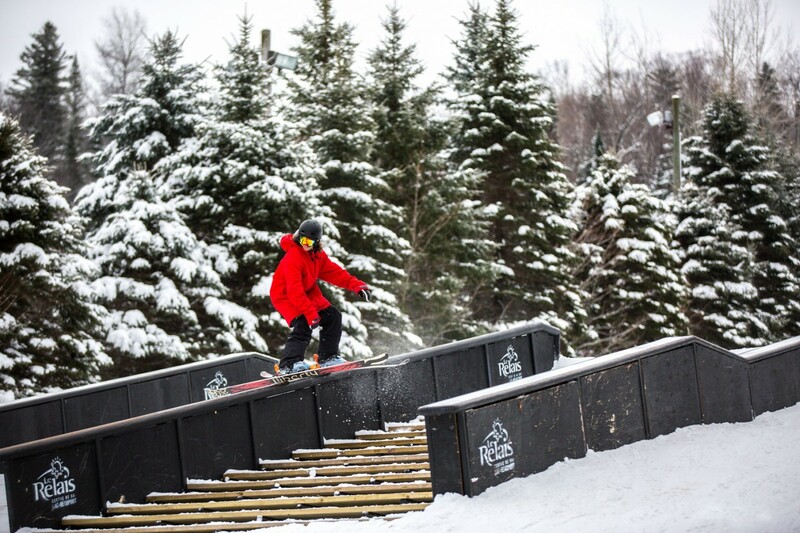 Located on run #8a, Docteur Pouliot is a safe snowpark with a variety of original Small and Medium rail and box modules for efficient and gradual learning. 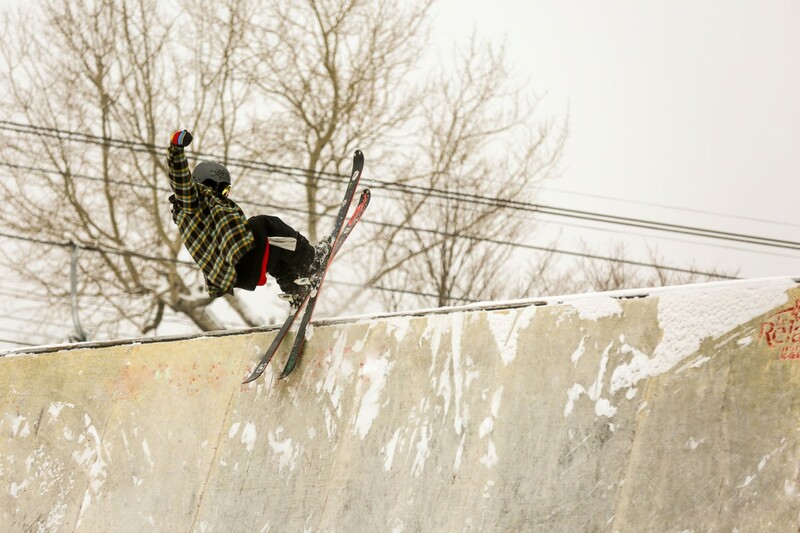 On run #5, you’ll find Conrad-Delisle, an expert park renowned in the field. It offers Large and XLarge modules and jumps in a safe, controlled-access environment— Please note that you need a park pass to enter. The park pass is mandatory for unlimited access to run #5’s park, Conrad-Delisle. You can get one at the resort’s customer service desk after signing a waiver. Our team leaves nothing to chance when creating original and varied modules in our parks. We have a special snow groomer, the only one of its kind in the region, that’s especially designed for the construction and maintenance of snowparks. This allows us offer you superior, safe practice conditions so you can show off your best stunts. Watch our calendar to stay up to date on our many events throughout the 2018–2019 season—activities, music, prizes and more! Guaranteed fun, and the perfect end to a day on the slopes.